Hello hello! I'm so happy and honoured to be invited to a media food tasting session organized by Ministry Of Food and Amasoy Japanese Pudding- to come and experience a Japanese Hotpot session with other bloggers. It's actually been awhile since I had hotpot aka Steamboat, I remembered the last time I went was probably during Chinese New Year/ or I usually have it at home la! 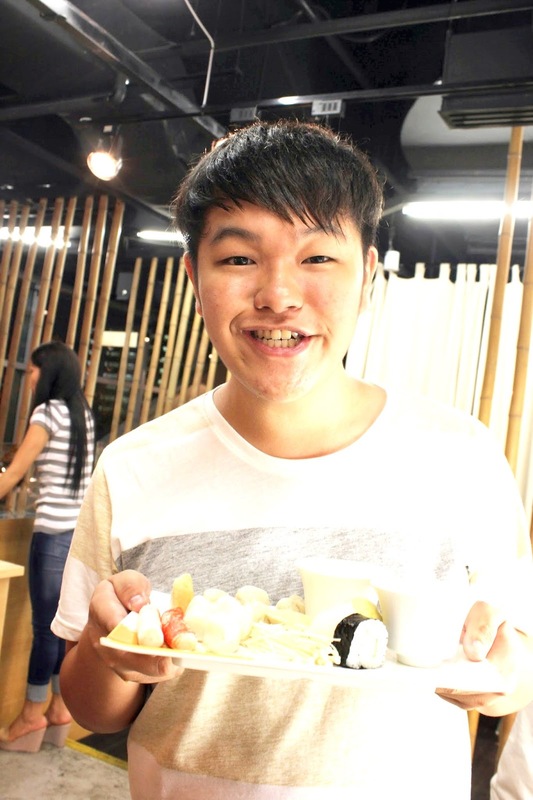 Usually you have a steamboat meal with friends/family mah, can't possibly go there alone! (though I'm a steamboat person I can have it everyday and I won't mind!). 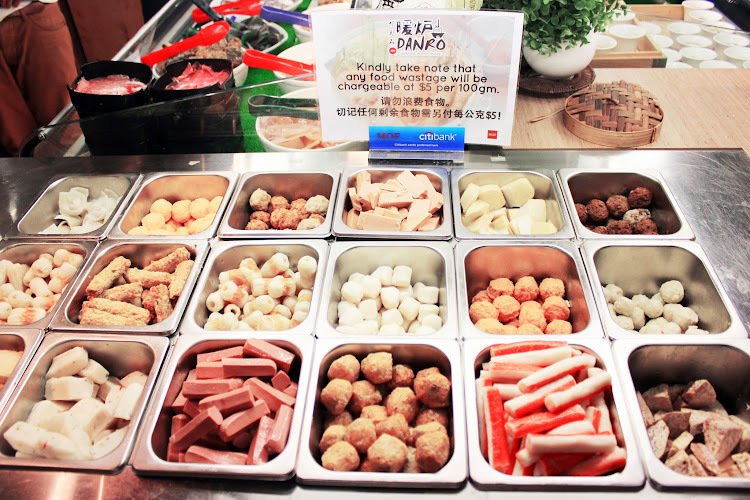 Alright so there are plenty of steamboat outlets in Singapore but have you ever tried Japanese Hotpot? 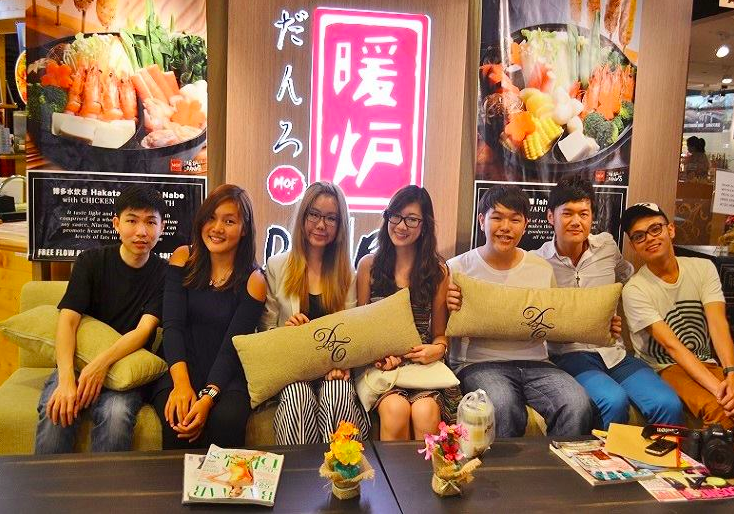 Well DANRO Japanese Hotpot is the first hot pot restaurant in Singapore serving speciality hot pots from different regions in Japan. *stares with shiny eyes* With a wide variety of soup choices to select, you will definitely be spoilt for choices. I'm very excited to come and try it out! Q: Incase if you are wondering what does DANRO mean? 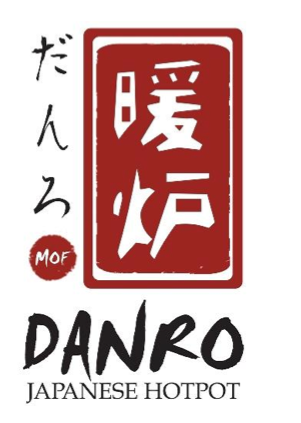 “DANRO” comes from the Japanese word 暖炉 which means “steamboat”, and the restaurant specialise in “nabemono” referring to all varieties of Japanese hot pot dishes. DANRO offers customers two authentic Japanese soup bases from a choice of nine in a single pot as Singaporeans love variety, and there is something for everyone at DANRO. Timothy explaining the different types of soup that DANRO offers. Q: What kind of soup base does DANRO have? Ahh! Super love meatballs and sausages!! Plenty of food items you can choose from. Vegetables, boiled eggs, mushroom, tomatoes! Mmhmm! Those prawns looks really good and ready to be eaten. A large portion of meat you can choose from! For me I love the black pepper chicken! Looks really tempting! Hahahaha! Loads of assorted fresh seafood availiable! I've never heard of salmon chips before! 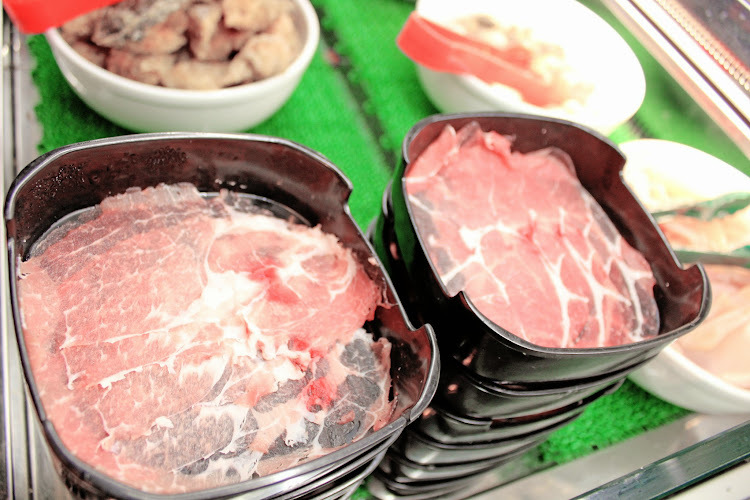 Slices of nicely cut (shabu shabu) pork and beef ! I guess the price of $17.90++ for weekday lunch and $25.90 for weekend dinner (adults) is quite affordable with A WIDE SPREAD SELECTION!! Definitely worth the money! Chilled Japanese potato salad! This is one of my favourite because I can finish 3-4 portions of this! Just a side note that I love potatoes. The texture was mixed with egg and mayonnaise. All ready to start cooking! Our soup base the bloggers and I picked were Akita, Nara, Shikoku and Kyto! These are like Japanese rice sticks in bite size! Was told that they are quite popular! It kinda taste like chinese rice dumplings "Bar Zhang". You can actually dip them into the soup eat it after that. DANRO'S Kiritanpo is a grilled rice skewer dish traditional in the Akita Prefecture. Kiri means "cut" and tanpo means "rice stack". Chef Kazunori Sonoda would first pound and mash freshly cooked Japanese Rice, from cylinder sticks by hand, brush special sweet sauce and miso for flavour, and toast them on an open fire till the outer layer is slightly crisp. 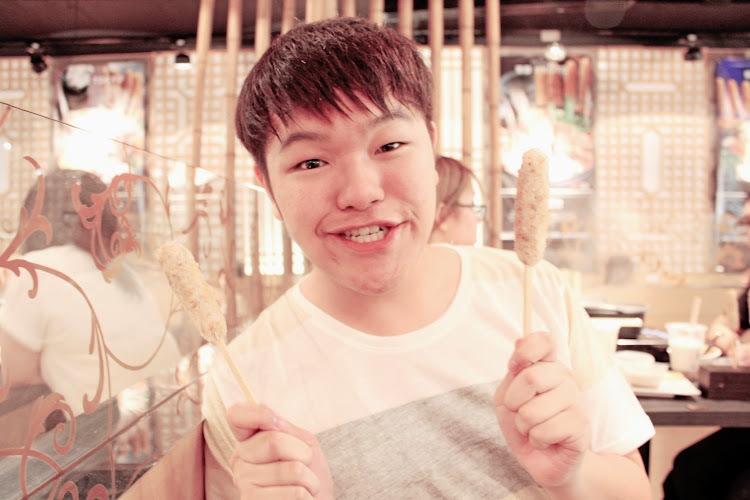 These Rice sticks can be dipped into the hot pot soup, or enjoyed with one of DANRO'S specially made dips. Shanice enjoying her cold noodles! Oh yea! You also decorate your ice cream with the toppings available! In case you are wondering how much it costs to dine here! It is actually quite an affordable rate and definitely suitable for families and kids! I think the price you pay is worth the quality of food you are going to get! Plus, the restaurant had the Japanese village theme making you feel the warmth and homely feeling. Other than enjoying our japanese hotpot session, we were also given AmaSoy's japanese pudding! They come in many different flavours such as mango, almond, original and others. Read more below! Q: Hmmmm what is AmaSoy all about? AmaSoy's chilled soy pudding has been known for its incredibly smooth texture, and quality ingredients made with 100% organic soy beans. 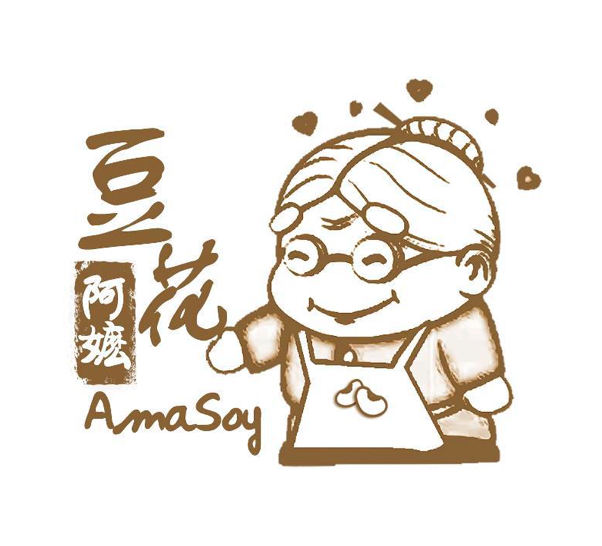 Even though it is one of the newest soy pudding brands in Singapore, AmaSoy's recent nomination as one of the top three favorite soy puddings by Singapore's Favorite Food 2013 panel is a testament to its superior taste . Q: What's so special about the Japanese Puddings? The recipe for AmaSoy was created after countless experiments by a Japanese Chef using his intimate knowledge of Japanese Cuisine to ensure the perfect balance of ultra-smooth texture, delicate flavour and delicious taste of AmaSoy. In my opinion, after trying out the different flavours, I will still go with mango and almond! A plus point I like to add on is that the texture is really very soft. If you compare ordinary tao huey and the Japanese pudding, obviously I would pick this! What's more interesting is that each Japanese Soy Puddings are made fresh daily, along with added Collagen & Omega3 (DHA). 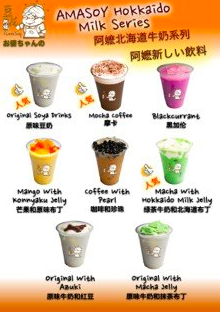 AmaSoy does not only sell puddings but drinks as well! These are not any ordinary soy milk drinks but they are Hokkaido Milk Drinks which is a huge difference from other soy milk drinks. They use premium milk from Hokkaido, which it's known for it's outstanding dairy products and rich farming culture. The result is a thirst-quencher which is smooth and delicate, complete with a silky cream taste! Other than the Japanese favourites of Orginal Soya, Matcha and Azuki, there are others which are also crowd-pleasing such as Mango, Mocha, Coffee, Black currant and Kaucha. With Shanice, Joey and Daniel! 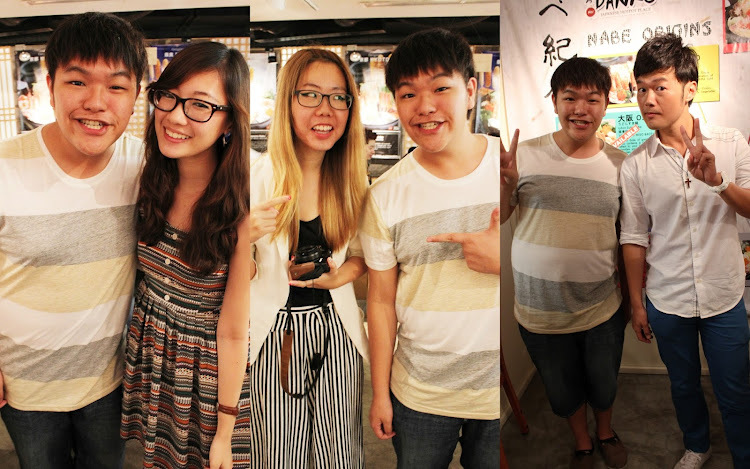 Ending off this blogpost with a group photo with the bloggers that attended this event. Overall, it was a pleasant experience spent at DANRO and yes, I would be coming back for more!